Loren Cunningham has been one of the most adventuresome visionaries of our time. What he has accomplished staggers the imagination. God gave him a dream and he lived it out–very few of us do that. Wherever I go I seem to run into people who have been discipled into radical discipleship by YWAM. Those who have been a part of their program prove to be a great gift to churches around the world. Their spirituality, their ability to witness, and their commitment to take seriously the teachings of Christ have impacted Christendom. I can safely say that YWAM is one of the most important and effective movements in Christendom today. We congratulate Youth With A Mission on their vision and creativity in training youth to reach around the world for Christ in education, mercy ministries, evangelism, and frontier missions. We rejoice with you in the faithfulness of God and of His people! May God continue to bless you and use you mightily as you invest in and contribute to the lives of Christian young people in your efforts to reach the world for Christ. I consider them [YWAM] to be the most effective mission organization. Thank God for YWAM. I have found its radical approach to theology discipleship and its seeking to accomplish world mission nearer to my own and confirming and illuminating my own more than any other church or movement’s contribution. YWAM’s accomplishment in providing more, younger missionaries in more countries of the world is magnificent and significant. The influence of YWAM and the leadership of Loren Cunningham, in character and constancy, has been, under God’s grace, one of the most determinative factors in bringing about the global Church’s renewal and impact in the last half of the 20th century. Whenever I’m traveling and speaking internationally and meet high-committed, servant-oriented Christian leaders, I think to myself, ‘Another YWAMer!’ I’m rarely mistaken. I am so grateful for the work of YWAM and for the intensity with which you do it. Over the last 40 years, Youth With A Mission has become one of the premier missionary organizations in the world. Not only has it effectively spread the gospel and ministered to practical needs of the underprivileged around the globe, it has captured the imagination and energy of young people, infusing them with a vision–and providing a unique way–for reaching the lost! I have observed firsthand the magnificent, mighty way the Lord has used Youth With A Mission. It is Biblical, Christ-centered, and Spirit-empowered. Dynamic evangelism is coupled with profound caring for people. The expansion of God’s kingdom has been accelerated by the phenomenal mobilization efforts of Youth With A Mission. The vision and creativity of YWAM has inspired and challenged other Great Commission organizations to greater boldness and innovation for reaching our world for Jesus Christ. When God saw fit to place our ministry in Asia, we did not know who would be our companions in the gospel. We went in obedience to God and he gave us YWAM. It seemed that we were ‘a lost tribe’ to them and they loved and supported us in every way. Their Kingdom vision has forever blessed us. We rejoice with you in the growth you have experienced and the tremendous opportunities you have given young people to reach out to others of different cultures and share the gospel message with them. We rejoice with you in the great things God has accomplished through YWAM. Ted Barnett US Director, Africa Inland Mission International, Inc.
From one who has partnered with and known YWAMers in mission for 20+ years: YWAM to me speaks of youthful innovation and energy! A ‘can do’ attitude, a commitment to strategic frontiers! YWAM speaks of cultivating and releasing every believer in their Great Commission calling! YWAM to me exemplifies teamwork, real relationships, sincerity and humility toward the harvest. YWAM is not afraid of the cross and because of this will see the glory of the Lord cover the earth as the waters cover the sea! I thank and praise our wonderful Lord for the world impact YWAM has had in helping to fulfill the Great Commission. Loren Cunningham along with the leadership and staff of YWAM has always been a great inspiration and blessing to me and it has been a great joy and privilege to work alongside them for the gospel. Their faith, boldness and zeal for our dear Lord have been a significant factor in this greatest-of-all-time spiritual harvests for Christ’s kingdom in the past 40 years. My wife Doris and I have reflected upon the impact that the ministry of YWAM has had on our own family. We counted that our children had been on no less than 14 short-term mission outreaches with YWAM. As one outside the YWAM family, I had come to see the many lessons I learned from the experiences of my own children. YWAM has had a major world impact. The leadership style invites initiative, entrepreneurial risk, spontaneous responsiveness. There is the enthusiasm and commitment of those who are making sacrifices just to serve. YWAMers have always been part of new spiritually-critical, cutting-edge initiatives. 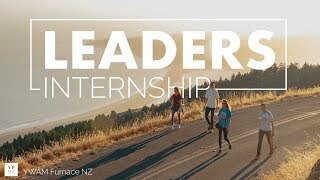 They have a pioneering spirit; a discipleship emphasis on servanthood; a culture of innovation and orientation to the future; dream facilitators who seek to encourage the dreams of others; willingness to take risks; a passion for Jesus and partnership with other Christian entities in advancing the Kingdom of God. Some of the impact values and principles I have learned from YWAM include: seeking God and waiting until you hear before you move; interceding on a regular basis for the nations; tapping into the initiative of God moving through the two-thirds or majority world; setting worship at the heart of all ministry out-flow, and giving a place to the ‘Holy Spirit and new-paradigm sensitivity’ with an out-flowing prophetic nature and appeal. 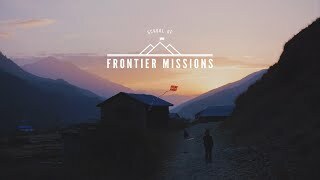 From my early days in Afghanistan where I watched YWAM and its vision changing the lives of young druggies to the dozens of international partnerships for evangelism among major unreached people, it has been a joy to work with Loren Cunningham, his wide ranging team and those who carry the Kingdom vision within YWAM. 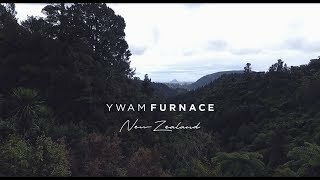 I believe that YWAM is one of the most significant forces in the world for the Gospel; something God has raised up uniquely in the latter half of the last century to make a huge impact in this new millennium. It is a privilege to know and to work with its leadership team. Forty-five years ago I spent an entire night in prayer and discussion with Loren Cunningham. As he described his unique vision still in its infancy, I paused at one point and said, ‘Loren, if this happens it will change the world.’ How I rejoice that we now can look back and declare it has truly happened–and it continues to happen. YWAM, to me, is one of the most significant evangelism strategies in the history of the Church. What an extraordinary work wrought by our extraordinary God! There are two places where I regularly meet YWAMers, on the field and in our organization! You are where the action is and you instill vision and long-term commitment in the lives of the people you touch! As a tentmaking mission with a long-term view of ministry in limited access countries, InterServe is thankful for the experiences many of our people have had with YWAM in the formative years of their ministry. Thank you for your Godly example! YWAM is a wonderful blessing to the whole body of Christ. Their courageous pioneer spirit is helping to take the gospel to the most remote corners of the world. Youth With A Mission is one of the most cutting-edge ministries I know. I appreciate their open structure and passion for winning people to Jesus with all and any means possible. I encourage everyone to support and get involved with the exciting ministries of YWAM! Tear Australia has collaborated with YWAM in Asia/Pacific relief and development services for the past 20 years. Over this time, nothing has deterred us from having anything but the greatest respect for those parts of the YWAM organization with which we have dealt. Your willingness to be in the most difficult places; your capacity to deliver high-quality aid at low-cost; the dedication of your staff; your commitment to hand over responsibilities to local people in the shortest possible time; your discipline and accountability–these are qualities that make us feel honored to work with you. YWAM provides a positive alternative for energetic young people. For some, the choice can be as clear and dramatic as rebellion versus submission. The danger and thrill of drugs, gangs and the street seduces them into rebellion from their parents’ world. However, YWAM offers similar excitement through an alternative means–submission to Jesus Christ. YWAMers love God and follow Him with the same reckless abandon that characterized the first century disciples. YWAM is a powerful voice for Christ around the world. I am pleased and proud to salute Loren Cunningham and all of those faithful people with whom he has served over these four decades. May God continue to guide this pioneering venture in the years ahead. Millard Fuller late Founder, Habitat for Humanity International, Inc. It has been my privilege over the years to observe and participate with Youth With A Mission on numerous projects around the world. Their focus on evangelism is always great. YWAM has a tremendous team of dedicated servants of the Lord and I always marvel at how God has been able to use them in so many strategic areas of the world. I have known the YWAM organization for some 30 years and I have grown to respect its leaders’ vision, dedication and passion for world evangelization. YWAMers are everywhere today and they are often on the cutting edge of mission advance. Since the days when I taught urban mission on a rocking houseboat in the Amsterdam harbor to an eager group of young missionaries, I have appreciated and praised God for this mission-focused organization. YWAM has made a tremendous impact over the years in challenging both young and old alike to make themselves available to Christ for service in worldwide missions. I remember when I first came in contact with YWAM in Nepal in 1973-76. In those days you were known as Dilaram House and you had a special ministry with world travelers. My wife and I were impressed with the dedication and the servant hearts of your workers. Over the years many of the children of our members have joined YWAM to work in various ministries around the world. Some of your short-term workers have joined us in the Bible translation task. We have counted it as a privilege to be partners with you in carrying out the Great Commission. We are praying that the Lord will continue to show us ways in which we can partner together in reaching the remaining unreached people groups of the world in the coming years. When I think of YWAM, I am reminded of the many people that have spread out around the world sharing Christ’s love in many new ways and bringing the life-saving message of the cross to the lost of this world. Ordinary people that are filled with the Holy Spirit doing great things for God. In addition to the many people who have come to know the Lord Jesus as a result of the ministry of YWAM, there has been an amazing work of character-building in the lives of many YWAM staff on the bases and in DTSes. 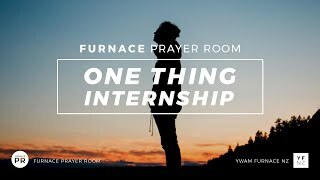 Through living by faith, putting others first and consistently finding joy in giving to others in need makes all of you YWAMers a daily source of inspiration and faith renewal for me. I pray that many more businessmen in the world have the blessing of encountering YWAM as I have. The world is a better place and even a place of more hope thanks to the unique reflection of Christ’s love through YWAM. It [YWAM] is probably the most significant seedbed for leadership in the Christian movement today. So many people of vision now in pastorates and other leadership positions have been impacted by and have come out of that ministry. It is this that makes YWAM one of the more influential movements in our Christian world today, if not the most influential. The first time I met Loren, he described YWAM as a tribe. I knew that I was a ‘lost member’ of the tribe. My first contact with YWAM was over 40 years ago while a student at L’Abri Fellowship in Switzerland. I have seen this small band of brothers and sisters grow to become one of the most dynamic missions movements in recent history. YWAM has encouraged men and women to dream and to bring those dreams before the face of God. During my lifetime, no one has spoken more boldly that the mission of the church is more than saving souls for heaven; it is nothing less than the discipling of nations. As I have traveled around the world, it is the YWAM tribe that gives us a foretaste of what heaven will be like, men and women from every tribe and nation bowing before Christ and worshiping the living God. Thank you, YWAM, and thank you for allowing me to be a member of the tribe. Down through the centuries of the Church age, God has given us great evangelists, theologians, missiologists and inspiring prophets and teachers. In our time, I believe the Lord is raising up a whole new category of church leaders that I refer to as Great Commissionists. These are the men and women with the vision and prophetic word to call the Body of Christ to work at completing the Great Commission in our time. Of even greater significance, these are the committed servants of the Lord who lay down their lives in actually developing bold, comprehensive and realistic strategies that could lead directly to the completion of this majestic task. Loren Cunningham, and the YWAM network that is the lengthening shadow of this man of God, is certainly one of the small band of mighty spiritual warriors who fit this category. It is a profound delight to me that I am able to know Loren Cunningham and to share vicariously in the Kingdom effort for which the Holy Spirit has anointed him. YWAM is a unique contribution to world mission. YWAM has been highly effective in attracting mission entrepreneurs, especially among young people, and mobilizing them for a wide range of important mission work. Sprawling, sometimes messy and very nimble, YWAM’s entrepreneurial spirit is the envy of the larger, more structured missions. YWAM’s dependence on the movement of the Spirit of God in directing its work is a witness to all of us. YWAMers don’t simply log miles. They travel with a purpose, often to the most difficult and needy places. No matter where I go in the world, YWAM is there–or at least within hiking distance. I know of no other organization so dedicated or intrepid. No place and no one is beyond the reach of this dedicated band. No less impressive is YWAM’s versatility. Like a multi-faceted gem, it is at once difficult to define and beautiful to behold. Mercy Ships, arts programs, book publishing, cutting-edge research, a university or two. What a program, what a legacy, what a God! And through it all, YWAM has never lost sight of the fact that good programs must follow good character. That is why I trust this ministry and am proud to have invested a decade of service with them. Any accomplishments I may realize in life are surely the outflow of their faithful nature. Youth With A Mission’s versatility and creativity make it a reference point and pace setter in the world missionary movement. The inspiring story of how God has used YWAM to impact the world, training thousands of laborers and generating new missionary movements in every quarter, is surely one of the greatest testimonies in our era. YWAM has contributed significantly to the Kingdom through its diverse range of ministries. I have known many YWAM programs and missionaries and appreciate the significant contribution each has made to the growth of the Kingdom of God. I appreciate the significant contribution that you have made to helping the poor and needy. The ministry of YWAM has grown considerably over the past four decades. It is now, in my estimation, one of the most strategic agencies penetrating the mission frontier. For breadth of involvement, magnitude and creativity, few organizations can match the dynamic distinctives of YWAM. God has greatly used Loren Cunningham and the thousands who have served with YWAM. And many, many will be eternally grateful as a result. I know of no other organization in the Christian missionary field that has produced and continues to produce such outstanding, mature and Spirit-led young men and women. David Aikman author and former TIME Magazine editor, Washington D.C.
My life has been so powerfully impacted by missions. I’ve been involved with trips to Calcutta, India, to Bucharest, Romania, to Ecuador. And I have seen God move through those trips powerfully in my life and seen how God uses that to change people’s lives in those countries. I have had some very close friends of mine who have worked with Youth With A Mission and been on mission trips and their lives have been radically turned around by working with this ministry. So, I encourage people considering going on a missions trip to link up with YWAM because it is an incredible ministry. YWAM has been an incredible inspiration to thousands of people around the world–refreshing the parts other ministries cannot reach. I am a big believer in the roaring lambs philosophy of showing our faith through our actions, not just our words. That’s what I admire about YWAM–they take this philosophy worldwide! We have come to admire the dedication and effectiveness of the work done by YWAM amongst refugees and other disadvantaged communities in South East Asia. Only Christ-inspired dedication and love for our fellow human beings in distress could result in such wonderful work being done, often under the most difficult circumstances. YWAM truly represents Christianity in action and is making a difference in this world where the need is greatest. We all rejoice in the way God has blessed this organization in reaching people all over the world for the Lord Jesus Christ. Keep up the good work. You have my support and my prayers. Youth With A Mission has been a powerful force within the Bethel community for Kingdom values and global servanthood. Hundreds of students have been challenged and equipped to represent Christ around the world. YWAM has done for many what few organizations could do in providing a readily open door to the mission field for anyone with a heart to follow Christ regardless of educational qualifications. My own life has been challenged and greatly changed through this kind of opportunity. People in many different walks of life are found worldwide who look at their DTS experience as a life-changer and -saver. If all YWAM ever does in the future is keep DTSes alive and kicking, then YWAM will have done the world an immense favor. YWAM leadership has never been afraid to be inspired to do ‘impossible projects’ (e.g. a worldwide university). The world and the Church cannot do without daring future plans. May YWAM’s leadership continue to dream big dreams and give new generations the space to do the same. Thank God for Youth With A Mission! It’s a clear path for kids in a cluttered world. It’s a clear path to Jesus Christ, a clear path to significance and satisfaction and a clear path to discovering what we were created for–sacrificial service to God and man. Thank you, YWAM, for 40 years of dynamic ministry to Christ and kids! YWAM’s training schools and short-term outreach programs have provided opportunities for thousands of young people who were raised in our affluent society to experience the reality of life in other parts of the world. Through these experiences, the students have found a greater understanding of the breadth of God’s love, and many have committed their lives to church ministry or missionary work. I am grateful for their influence on the youth of American culture and around the world.